Overview: Ride the rails in this classic railroad and locomotive themed slot. Featuring trains, cars, conductors, engineers and railroad crossing signs. 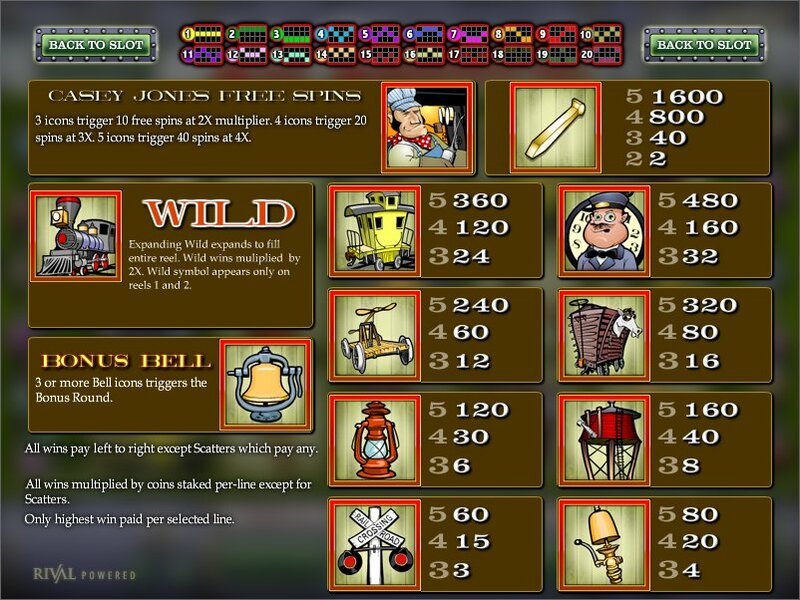 All Aboard is a tribute to the romance of the rails.. During the bonus round, the user will have to search through box cars in search of cargo for coins, until they find an empty boxcar - which ends the bonus round. 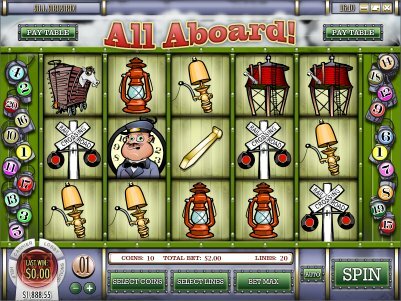 All Aboard is an entertaining slot which is sure to please anyone interested in trains, rail or travel. Similar Slots: If you like All Aboard, you might like these other Rival video slot machines: Aussie Rules, Dog Pound, Flying Colors, Grandma's Attic, Jacques Pot, Ocean Treasure.